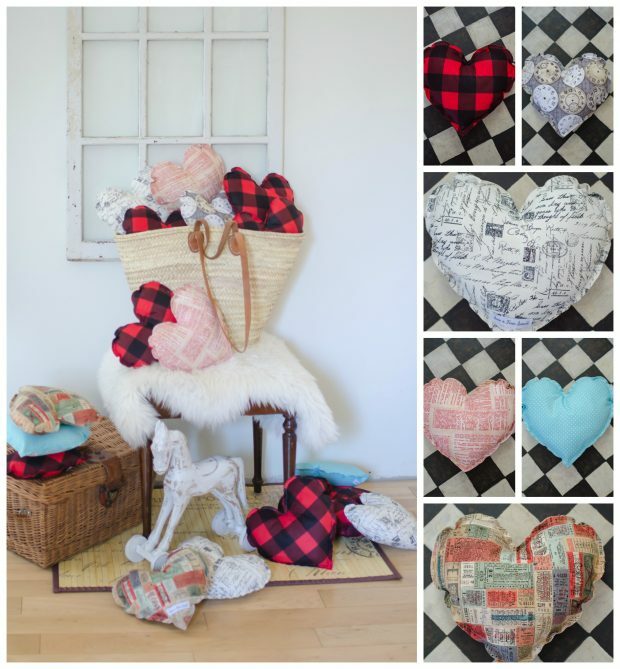 Squishy, Puffy Hearts – not just for Valentines! 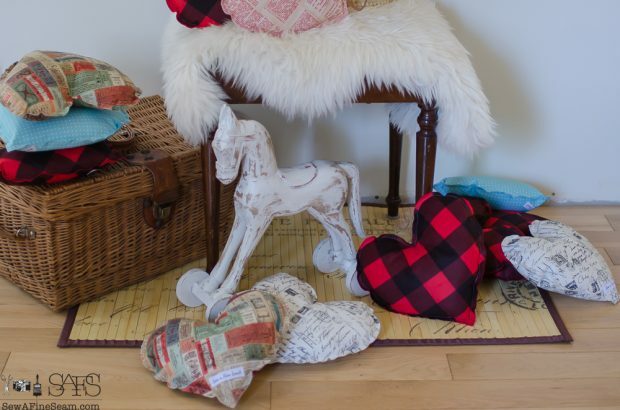 Squishy, Puffy Hearts, these are not just for Valentine’s Day! Hearts have been gaining traction as a trend for a few years now. We are starting to see them everywhere. I’ll admit the thought of hearts in decor does conjure up images in my brain of pastel hearts and geese lining the top of the room. Remember the wallpaper borders? Or hearts and teddy bears? All the trends from the 80’s. Honestly, I’d typically leave the trends from the 80’s right back there in that decade where they belong! But as the trends return they tend to come back a bit different. 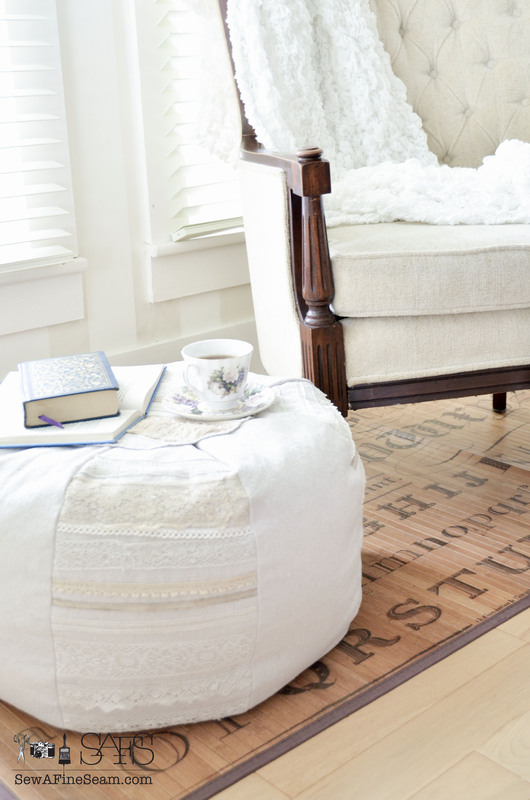 They can usually be mixed in with traditional, everyday decor if used in moderation! I’m not ready to wallpaper my walls with hearts (0r geese). 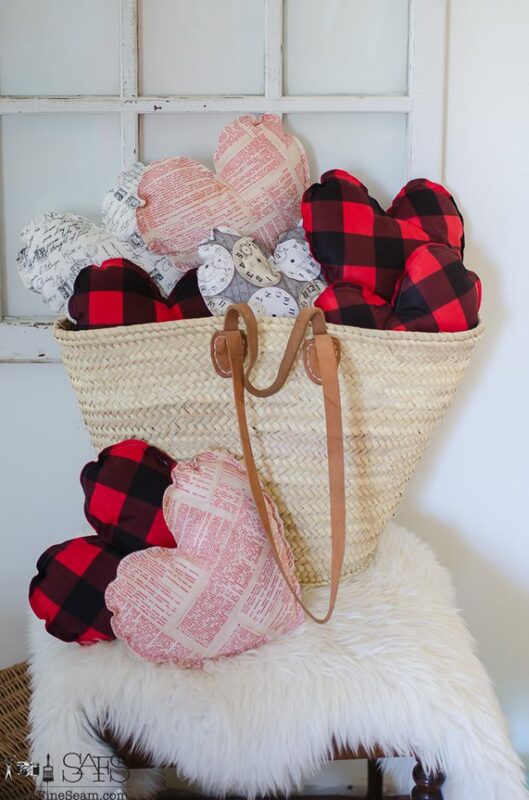 I am finding a I have a bit of a crush on this European basket full of fabric heart pillows. I used the same heart pattern I used for the sweater hearts I made for my Mom and Sister. Iused the fun fabrics I have been using for all my other pillow designs. These will be available at the Open House here in town and also at Smith Merchants. These would be so sweet added to a little girls bed, against her bigger pillows. Add one to a small rocker or a basket in a nursery. Toss a few on your couch to spread the love! 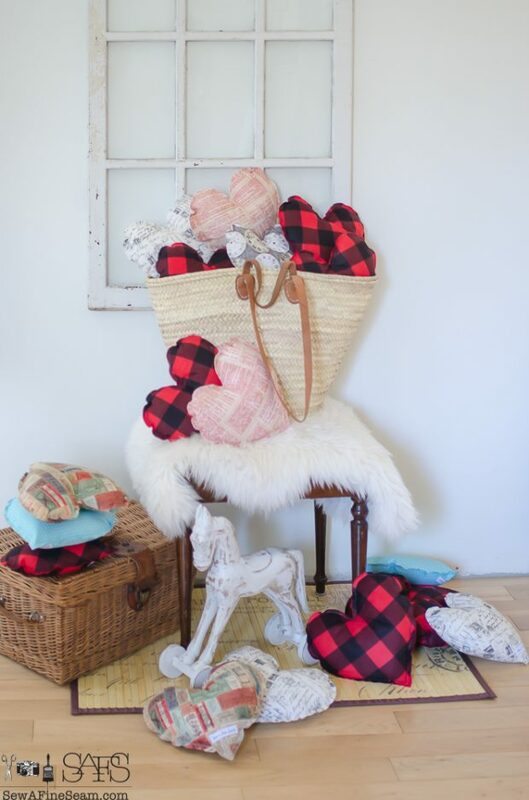 Valentine’s Day isn’t a holiday that gets tons of attention in the arena of decor. It’s easy to overlook it since it’s a pretty small window of time. I don’t do much, but I have a few things I pull out – it takes less than 10 minutes to set them out and then to tuck them back away. Simple and quick for Valentines Decor! 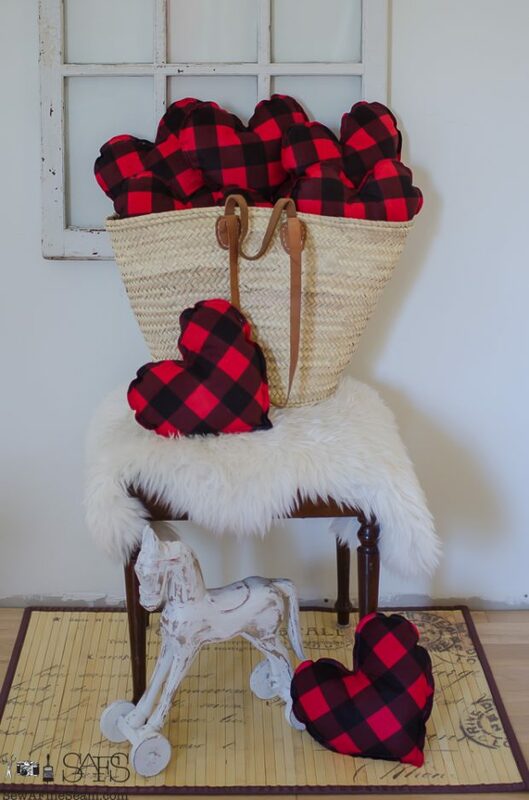 It’s been fun using the black and red buffalo check from Christmas in Valentine stuff too. 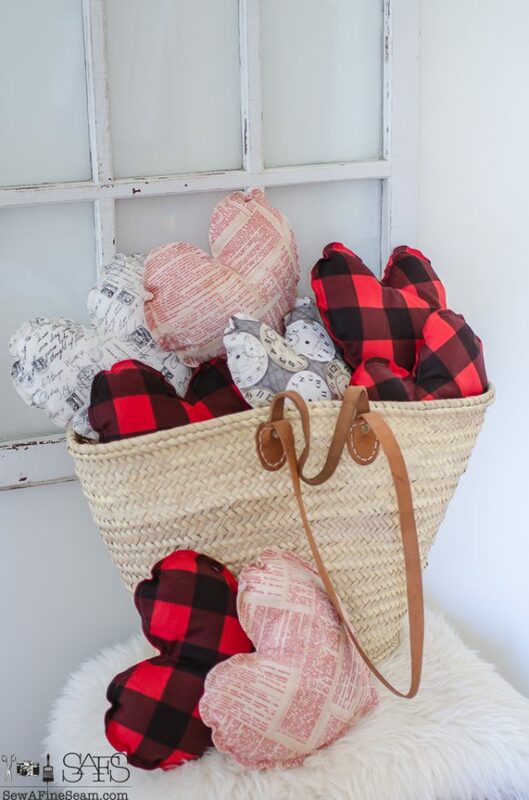 Contact me if you are interested in purchasing a heart pillow and you need it shipped! 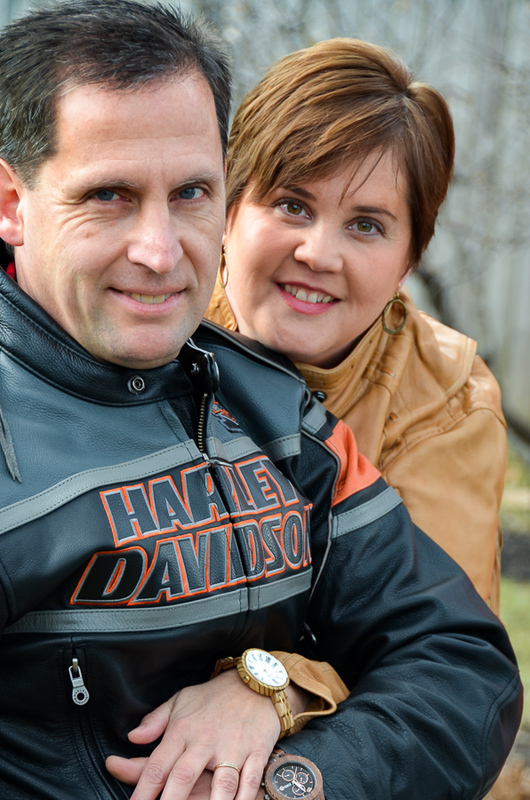 Hi Jill, good to hear from you again, hope all are well at your house. Your girls must be growing up quickly. What are they doing these days? Looks like you’ve been busy as always, love fabric you used for your hearts, very sweet and squishy. 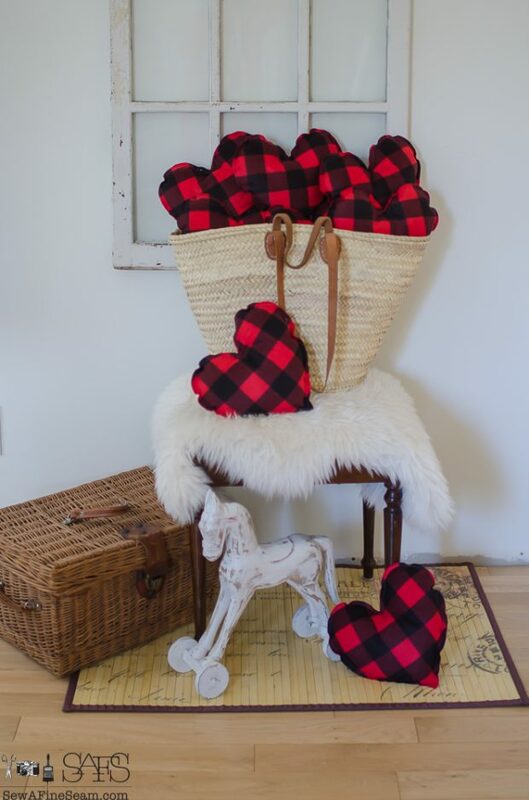 Would love to find some fabrics like you used to make some of your hearts, can be displayed daily, not just for Valentines day. Sure makes me want to make some hearts but had better get myself some filler for those hearts. Hi JaneEllen, girls are growing! My oldest turns 18 next week! I like the hearts for year round too – and I think I’m going to be adding them to my stock for my pop-up shop events this year. I made my own pattern by folding a piece of paper in half and drawing half a heart on the foldline. cut out, open and you have a perfect heart!